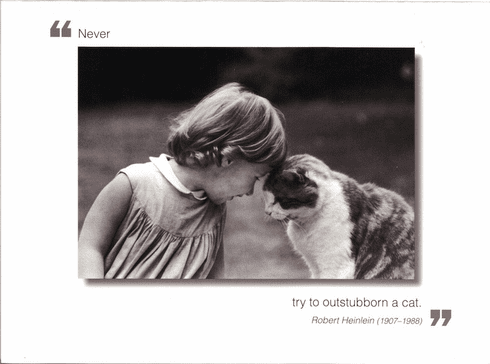 Outside: Never try to out stubborn a cat. - Robert Heinlein Inside: Blank. Borealis Press card measures 5 x 7 inches. Includes envelope.